Where does your company provide music lessons? How many music lessons does one generally require? Which city areas do you currently serve? Should we sign up for a group class or one-on-one lessons? 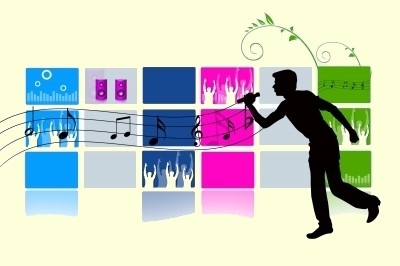 Will students be given opportunities to perform the music they have learned? Can the music teachers play themselves or demonstrate their musical talent at anytime? 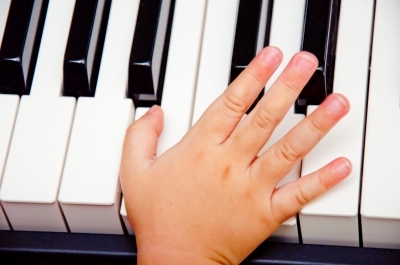 Can your music teachers handle little kids, say, below age five? Do your Music Theory, Music History and Ear Training tutors provide with practice tests? How good are the music teachers that you recruit? Do we have to submit a payment before each session? Can we pay after the session is finished? Can we pay as we go? Do you offer group sessions for kids? Our music teachers typically come to your home for your convenience. 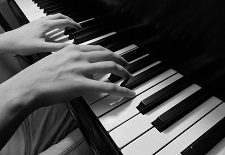 If you are interested in piano lessons, you must have at least a keyboard at home. If you wish to learn an instrument other than the piano, our instructors will offer great suggestions on acquiring the needed instrument. We also provide group classes. Group classes will take place in public studios of Manhattan. This really depends on the student and given level of knowledge. It also depends on whether one needs theoretical music instruction. For example, if you need help in Music Theory, Music History or Ear Training, then you need a substantial amount of lessons to improve your score, especially if you are enrolled in a music school. If you are taking instrumental music lessons, then it will solely depend on your level of commitment to mastering a particular instrument of your passion. Usually once a week lessons are required. Twice a week lessons can work too, especially when one needs to prepare for an event or public performance. We also prepare prospective students for music festivals and music auditions to prestigious music schools such as The Juilliard School, Manhattan School of Music and Mannes College of Music (New School University). Our music teachers have worked with students of all ages and levels, therefore they know almost every possible existing pedagogical approach for any student. 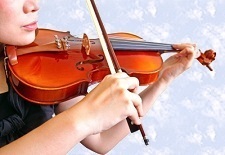 Usually the first music lesson is enough for our teachers to assess natural strengths and weaknesses of a student. We currently serve four major NYC boroughs, namely Manhattan, Bronx, Queens, and Brooklyn. We also serve parts of Long Island NY, Westchester County, Rockland County, and New Jersey. Group classes are great if you wish to work in intensive learning environment. They also work for families wishing to pay less for music lessons. However, one-on-one lessons provide with undivided attention from our teachers, therefore it is more likely that on average each one-on-one lesson will be more effective than a group class (per capita). Also, one-on-one lessons will take place in your home, whereas group classes will take place in public studios of Manhattan NYC. We hold a yearly music recital in a respectable concert venue when at least 5 (five) clients sign up to perform. Each client must submit a payment of $25 to participate. Even if students cannot participate due to personal reasons, our teachers constantly encourage them to perform for their parents and relatives in their private home atmosphere. Absolutely. Music teachers that we select are veterans of the concert stage themselves. 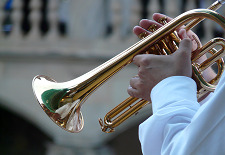 Most of our current music teachers regularly perform in NYC areas and abroad. We usually try to announce their public performances to our music clients. Music performances inspire kids as well as their families more than one can ever imagine, therefore attendance of these performances is a great supplement for any music student. Music teachers also develop a trusting and warm relationship with their students as they grow closer together through music. Yes. In fact, we give preference to teachers that work well with kids in this particular age range. Nourishing musical talent as well as artistic growth in younger kids is highly rewarding. Kids naturally grasp anything they hear tremendously fast, and in the process of growing up tend to lean on their fine musical memories as well as acquired music skills. In general, we employ teachers that work well with all ages and levels. 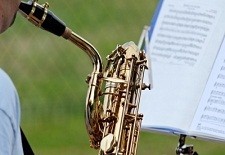 Each music tutor will provide as many practice tests as possible to ensure that you are prepared for the actual test. Tutors will likely provide different text sources (various authors) for each practice test so that you are not limited to particular test types. Each practice test will be timed so that it closely matches the test you will be taking. Some tutoring sessions may be partially devoted to taking a sample test, but you may choose do so on your own. Each music teacher comes from celebrated music schools such as The Juilliard School, Manhattan School of Music, Mannes College, CUNY, SUNY, Columbia, Yale, and NYU, among others. 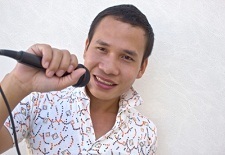 They also possess extensive teaching experience as well as passion for music. Communication skills, friendliness, brilliant music skills, and musical enthusiasm are among the top qualities we seek in our music teachers. Each music teacher is also a formidable performer. Our teachers perform on a regular basis in NYC and abroad. 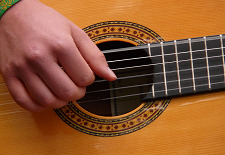 Instrumental music lessons follow a strict schedule for Fall, Spring and Summer sessions. Please check our Schedule page for detailed description. Instrumental lessons must be paid for before the lessons begin. Tutoring sessions specifically requiring Music Theory, Music History and Ear Training may be tailored to fit a specific time frame, so that pay-as-you-go sessions may be used. Please note that pay-as-you-go lessons do not hold for instrumental lessons. Pay-as-you-go lessons (for theoretical music subjects) will be billed for at the end of each month. You may sign up for pay-as-you-go lessons if you need help with Music Theory, Music History and Ear Training tutoring sessions. 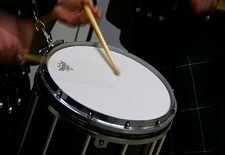 Instrumental lessons follow a strict schedule for Fall, Spring and Summer sessions. Pay-as-you-go option is not included for instrumental lessons. Our goal is to engage our music clients with an exciting and inspirational music atmosphere, therefore they must fully commit to learning an instrument. Please check our Schedule page to familiarize yourself with the rules associated with instrumental lessons. We offer group classes for up to 10 kids. Adults can also use group sessions. Group classes will take place in music studios of Manhattan NYC. We accept major credit cards, checks and money orders. Payments by credit card are processed through secure PayPal online system. Credit card payments save time, especially when sessions need to start immediately. They also eliminate the hassle of writing checks, save envelopes and postage. No credit card information is ever known or disclosed to us - payments are made through an electronic invoice that we send to your e-mail.